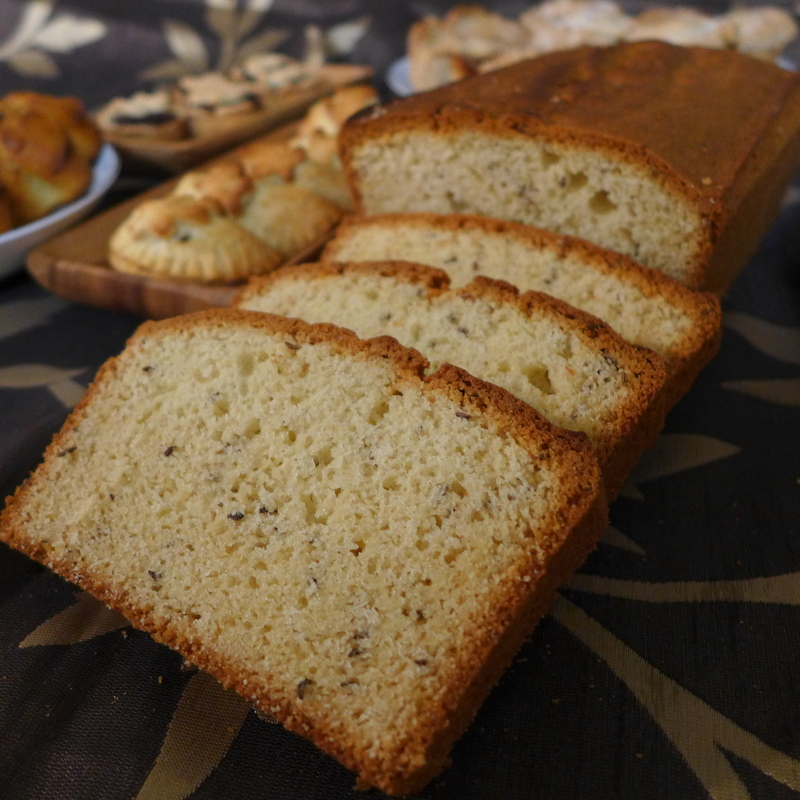 Many modern readers imagine seed cake to be chock full of sunflower or pumpkin seeds, but it turns out Tolkien grew up on a decadently buttery version of pound cake full of caraway seeds. They have a sweet, licorice flavor reminiscent of a milder, earthier version of anise seeds. You can find them at most Indian groceries. They’ve been out of fashion in sweets and tea cakes for a couple generations now, which is a darn shame. If you want to indulge in a little armchair time travel, the next rainy day, try curling up with a good book, a hearty slice of seed cake, and a hot cup of milky tea and you’ll feel transported to another era. Cream the eggs, butter, and sugar. Yes, that’s a lot of butter. The Victorians weren’t known for eating healthy. In another bowl, whisk together the flour, baking powder and salt. Once they’re well blended, add the almond meal and all important caraway seeds. Mix the dry ingredients into your bowl of butter. Splash in the milk. Now give it all a good beating so everything is well blended.You should achieve something the thickness of brownie batter. Scoop your batter into a well greased 2 pound cake pan. (You’ll need a spatula. This batter is way too dense to pour.) Shake the pan to help settle the batter before baking. Bake at 350F / 180 C for 50-55 minutes, or until it’s both golden brown on top and a toothpick inserted in the center comes out clean. This loaf is so dense it can be deceptive, so make sure to give it that toothpick test. Let the cake rest in the pan for 20 minutes before removing it. That both lets it cool and reduces the risk of it crumbling when you remove it. If you buttered the pan heavily enough, after 20 minutes it should slide right out. The Victorians weren’t fans of icing on their cakes. However, if you prefer a little extra sweetness on top, feel free to add a light sugar glaze. Simply whisk the glaze ingredients together. If it’s too thin for your taste, add another 1/4 cup powdered sugar. Let the cake cool completely then paint the glaze on top. 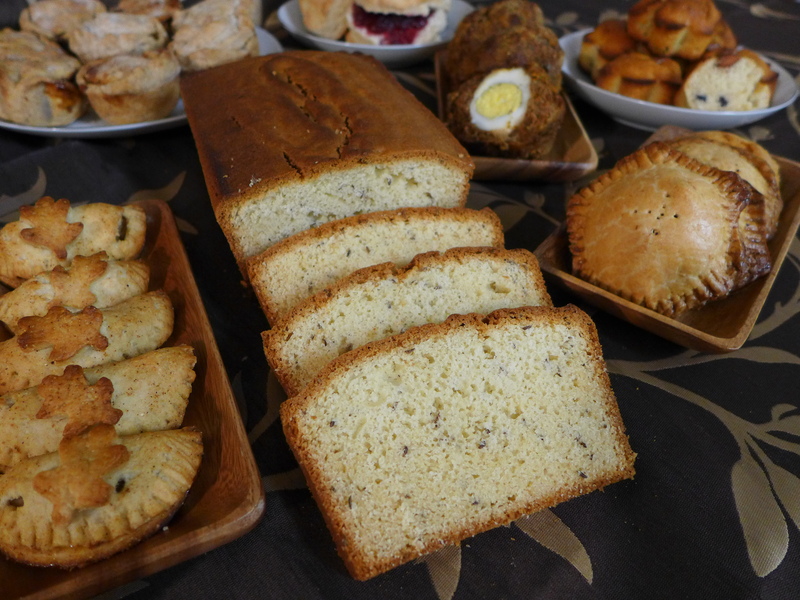 Once the loaf has cooled, serve cut it into 1 inch / 2.5 cm slices. It should last 3-4 days in an airtight container, provided you can keep your hands off it for that long. Need more Hobbity goodness in your life? 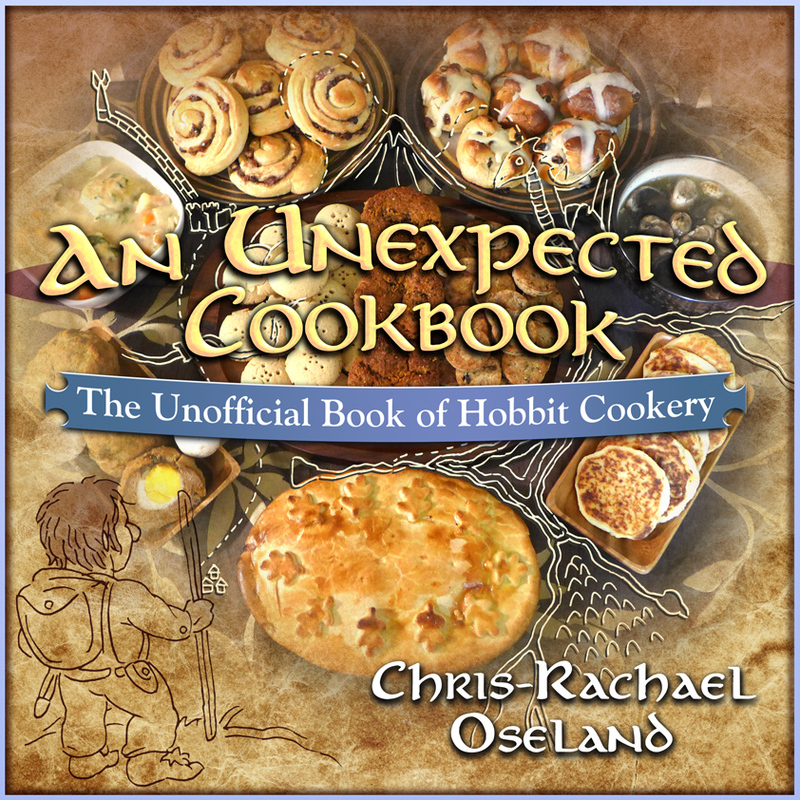 Check out our preview recipes for An Unexpected Cookbook: The Unofficial Book of Hobbit Cookery.